And while making sure your customers pay you on time is one of the best ways to keep your profits going in the right direction, there are other ways to ensure that your business is not running on fumes month after month. If business is slow, cash is not coming in or you have other reasons for a loss of revenue and shrinking profits, you’ll need to look at your expenses. In many cases, this is the quickest way to free up some cash and increase your percentage of profits. Cancel any subscriptions you are not using. That can be industry publications, or it could be professional services that you rarely use. Maybe you need to cancel the cleaning crew for a few months, so you can catch up. In short, take a look at items that you could do without for a period of time and do some cutting. You can also work to renegotiate any contract you have for services that you use. Maybe you are not using the full services of a company that you used to and maybe now is the time to rework that agreement. Think of your cable TV. Maybe you don’t watch all the channels and its time to cut back. Take that concept and look at all your existing agreements. When was the last time you increased your billing rate or prices? Maybe it’s time to see if you could charge just a little bit more for what you provide your customers. If your core expenses for your business have risen, then you really need to consider this rather than absorb the cost increase. Look at the restaurant business. Food costs fluctuate all the time and so do menu prices to reflect that cost. Most restaurants don’t hesitate to raise prices because they can’t afford to serve customers for free. First, try to remember the last time you reviewed what you charge customers. If you cannot remember, it probably is time to make an adjustment to your rates and fees. Second, try to gauge the industry standard for rates. If you’re a plumbing professional, try to find out what others in your area are charging. Maybe ask your professional association. If you are in lawncare or landscaping, the same applies. Ask your professional association what the standard is for your services and geography. When you do decide to increase your rates, make sure you communicate that to your customers in a diplomatic way. Don’t blindside them with their next bill. That will only upset them. Inform them with a letter or some type of official communication. If you want to make sure you get your message across, maybe consider hiring a local professional writer to pen your rate announcement. What can put a business in the red faster than anything is late and non-paying customers. And to bring that one step further, a business that doesn’t take their receivables seriously. It’s one thing for you to have customers that do not pay on time. But it is another to ignore that you have outstanding invoices out there. As a collection agency, we meet with businesses all the time that have receivables that go back months. And in some cases, even years. They have tried to get customers to pay but have gotten frustrated with the process. Or, they have been inconsistent in their efforts. If you are looking to increase your profits and your cash flow, the first place you should look is your accounts receivables. Sit down with your bookkeeper or accountant and run your numbers. Once you find out who hasn’t paid you, start sending out statements and if you are still not getting paid, get on the phone and try to resolve those late payments. Be nice, be diplomatic and if you are calling on an account that is months or approaching years in delinquency, maybe even offer a bit of an apologetic tone and let them know you just found that payment has not ben received. It is also a good idea to get third-party help by retaining a reputable collection agency. If you are the type of business that has challenges with setting aside the time to collect, or you don’t have the systems in place, getting help in this area is a great option. Just make sure that collection agency treats your customers fairly and with respect because you do not want to lose any customer because of a possible oversight. That will only further decrease your cash flow and profits. 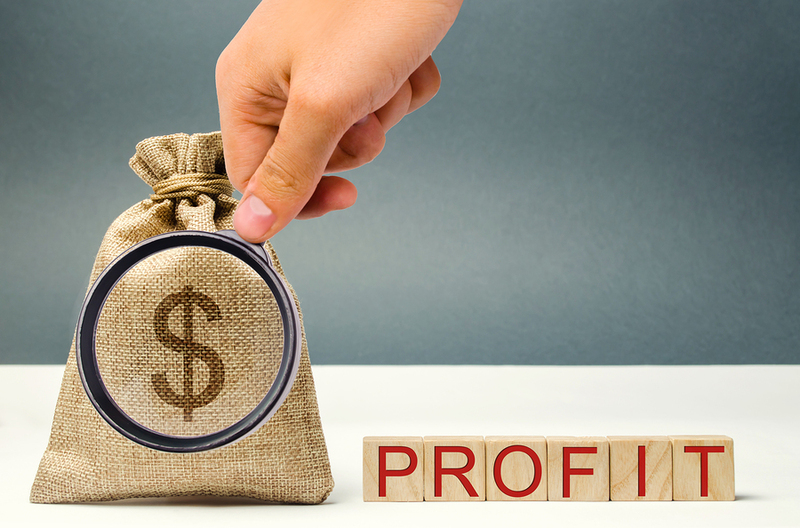 Uncovering profits in your business can be quick and easy or it can take a little more investigating. But if you feel that you are not as profitable as you should be, and you are losing money, it’s time to take a step back and find where those leaks are in your profits. If you need to find money in the form of receivables, contact our team today to see how we can uncover those lost profits.